What should you look for in a high-quality personal injury attorney? First is someone with a solid, credible track record of success. The Law Offices of Burg and Brock, Inc. have handled over 10,000 personal injury cases and earned a 98% success rate in the process. That long and illustrious track record has translated into over $200 million in damages for our clients. The advantage of a personal injury attorney with proven success in the courtroom cannot be overstated. If the insurance companies respect the trial performance record of your personal injury attorney, they will be more amenable to a settlement rather than go toe-to-toe with him at trial. Yes, You Can Afford Legal Representation! It’s true. Anyone with the right kind of case can afford the services of the Law Offices of Burg & Brock. That’s because we don’t get paid anything until after we’ve made sure that our clients have been compensated. Indeed, considering that it’s almost impossible to receive full compensation from most insurers and defendants without legal assistance, it’s likely you can’t afford not having an outstanding Los Angeles personal injury attorney from The Law Offices of Burg & Brock on your side. Working on a contingency fee basis means that we collect our fee from a final settlement or legal judgment. In other words, if you don’t get paid, neither do we. This obviously motivates us to make sure we only takes cases that we believe are extremely likely to end successfully for our clients. Once we accept a case, we obviously are very highly motivated to do our best to make sure that our clients are as fully compensated for their loss as possible. Obviously, no one can place a dollars-and-sense value on a serious injury or, even more so, a wrongful death, but sufficient compensation can make recovering from a loss and resuming a normal life far less difficult. Our founder, Cameron Brock, has made a name for himself as the best personal injury attorney for people who are looking for a professional who will fight vigorously for their rights, both inside and outside the courtroom. Mr. Brock founded the Law Offices of Burg and Brock, Inc. over 21 years ago, and in the time since our firm has handled over 10,000 personal injury cases. These cases have ranged widely from vehicular accidents to dog bites, spinal injuries, burn injuries, brain injuries, instances of product liability, and much more. With a 98% success rate and over $200 million won on behalf of our clients, Burg and Brock has become the place to find a high caliber personal injury lawyer. Your Job Is To Get Well, Our Job Is To Protect You! If you are looking for an accomplished personal injury attorney in Los Angeles, look no further than the Law Offices of Burg and Brock, Inc. Every single personal injury lawyer in Los Angeles who works at Burg and Brock has been carefully chosen for his or her integrity, diligence, and wealth of knowledge and experience. Indeed, these professionals have over 90 years of collective experience with a wide range of personal injury matters. Most importantly, they have the kind of unassailable reputation that makes insurance companies pause before deciding to take lawsuit to court. Here at the Law Offices of Burg and Brock, Inc., you will find a team of personal injury attorneys in Los Angeles one hundred percent dedicated to securing the medical treatment you need after an accident. 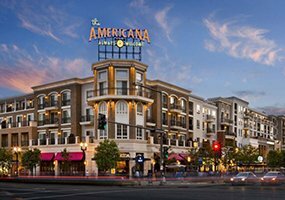 The big insurance companies have a small army of attorneys working to deny your claim, but Cameron Brock, founder of this esteemed law firm and a very successful Los Angeles personal injury attorney in his own right, has gathered under one roof some of the finest legal professionals in Southern California. 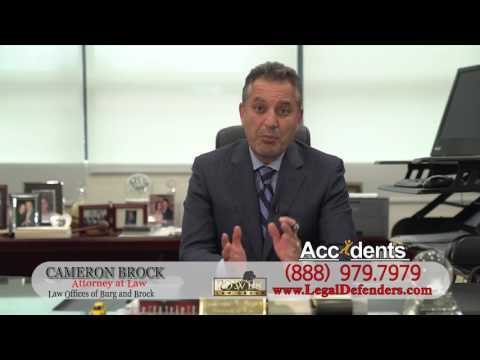 Cameron Brock is especially well-known as a top motorcycle accident lawyer in Los Angeles, and the best car accident attorneys in Los Angeles, but he also brings to bear nearly two decades of experience in personal injury cases that run the gamut from Uber accidents to truck accidents, wrongful death claims, and so much more. 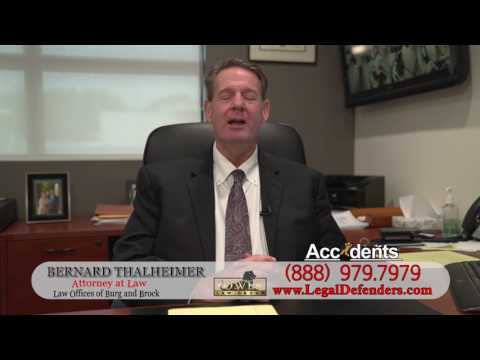 When Can a Los Angeles Personal Injury Attorney Help? Every case is different, of course, but each type of accident involves a specific set of issues that tend to come up from case to case. For example, cases where pedestrians or motorcyclists are seriously injured or killed in accidents often happen when drivers say that they didn’t see the victim before the collision. 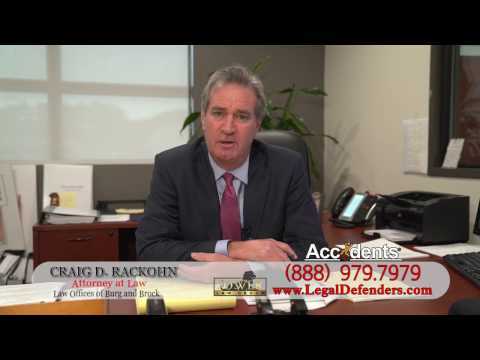 Making the case that a driver was negligent in not seeing the victim, typically because of distraction or possible impairment, can be challenging; the more experience and knowledge a lawyer has, the better the chances of a positive outcome for the client. 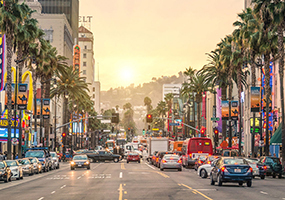 A personal injury attorney in Los Angeles from Burg & Brock will always be familiar with the kind of legal action a client is involved in, whether it springs from a vehicular accident, a slip and fall, or a dog bite. Below are few examples of how The Law Offices of Burg & Brock may approach certain types of cases. One of the first determinations a Los Angeles personal injury attorney has to make in any potential legal actions regards the level of insurance or assets a liable party has. As the dominant ridesharing services in the United States, Uber and Lyft have billions of dollars in assets they need to protect. They therefore ensure that each of their drivers carries $1 million in insurance. Making sure that a victim is able to benefit from this set of circumstances takes a special sort of legal savvy when it comes to understanding the workings of the insurance companies. These cases most often involve workplaces or businesses and organizations that are open to the public. These types of spaces are often owned by major corporations, NGOs, or governmental entities with deep pockets and top-flight attorneys to match. Not just any lawyer can extract full and fair compensation from these kinds of entities, but our team at Burg & Brock knows the ins-and-outs of dealing with even the largest entities. Dog bite cases rest on the assumption that an owner was negligent in allowing the incident to occur and typically only require that the victim was either in a public space or are legally present in a private residence. Since in some cases, the dog of a relative, neighbor, or friend can be involved, these cases can be emotionally trying for all parties. Nevertheless, dog bites present real dangers. Victims often must deal not only with painful injuries, but with related disfigurements. Over 10K Successful Cases – How do you separate the high-caliber Los Angeles personal injury attorney from the “ambulance chaser”? First is the selectivity of the personal injury lawyer. Cameron Brock, the founder of the prestigious Law Offices of Burg and Brock, Inc., weighs the legal merits of every case before deciding whether or not it is to the client’s best interest for the case to be pursued. The potential financial recovery is not the primary consideration to open a legal personal injury case. Burg & Brock carefully examines the legal underpinnings of the case before committing. But when they do commit, there is no other Los Angeles personal injury attorney who will fight so aggressively to defend your rights, in and out of the courtroom. Powerful Attorneys For Seriously Injured People – The other aspect of a personal injury lawyer’s career that you should look at is a proven track record of success. Burg & Brock has handled over 10,000 personal injury cases, and won over $200 million in verdicts and settlements on behalf of their clients. Their 98% success rate has earned them a solid reputation amongst satisfied clients, as well as big insurance companies wary of going toe to toe with a Los Angeles personal injury attorney who can boast such steady string of legal victories. Finally, take a look at what an attorney is looking for in terms of compensation. A lot of lawyers will ask for a lot of money up front. A high-quality Los Angeles personal injury attorney can easily cost $500 per hour. At Burg and Brock, however, they work on a NO RECOVERY, NO FEE basis. They are confident enough in their abilities to hold off on demanding compensation until you get a satisfactory verdict or settlement. 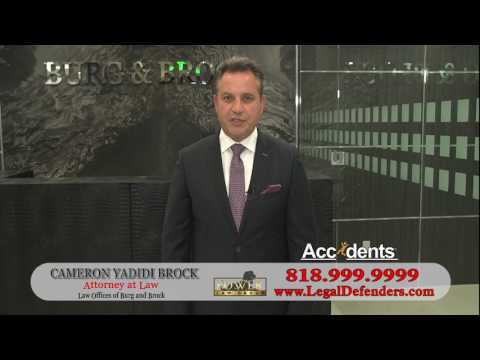 If you’ve been harmed in an accident that was the fault of another person or an organization, the time to set up a free consultation with a personal injury attorney in Los Angeles at the Law Offices of Burg & Brock is now. To get started, just call us at one of the phone numbers above. You also get in touch with us online through our contact page.